Zarafa Camp is a magnificent luxury tented camp in the vast 320,000 acre private Selinda Reserve and looks out over the Zibadianja Lagoon. 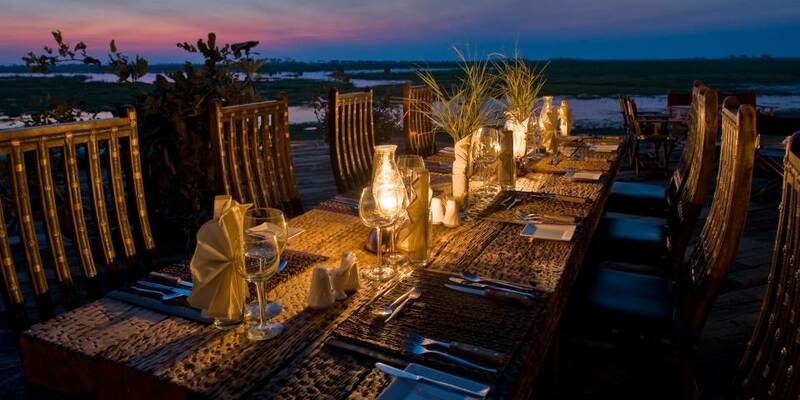 Zarafa is probably the most intimate camp in Botswana with only four stunning 1000 sq ft canvas rooms. The game viewing is excellent here and being so small this camp is perfectly suited to exclusive use should you want a camp all to yourself! 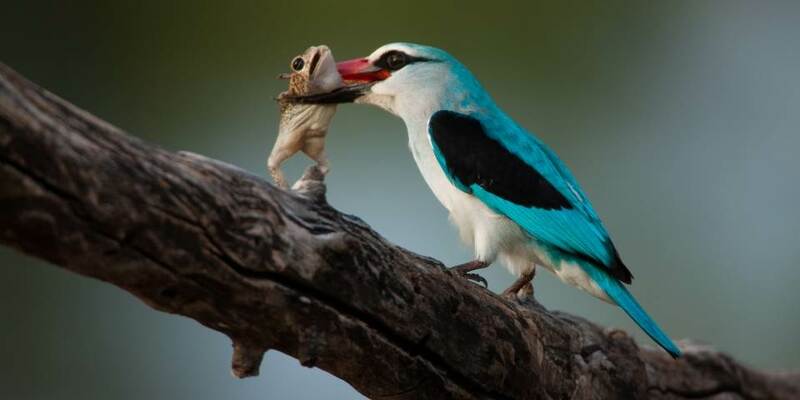 The Selinda Reserve is a highly productive area for safari; the area teems with wildlife and birdlife. 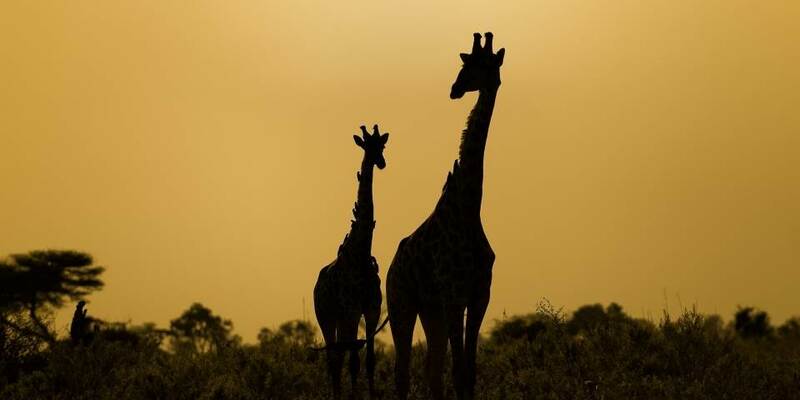 Elephant, Buffalo, Lion, Leopard, Zebra, Lechwe, Giraffe, Roan, Sable and even Africa Wild Dog make this their home and for birders there are over 300 species and there is a nearby colony of African Skimmers. In addition to the usual game drives in early mornings and late afternoons/evenings, bush walks are also on offer and there is even boating offered on the Zibadianja Lagoon when water levels permit on HMS Zib, as the boat is known. 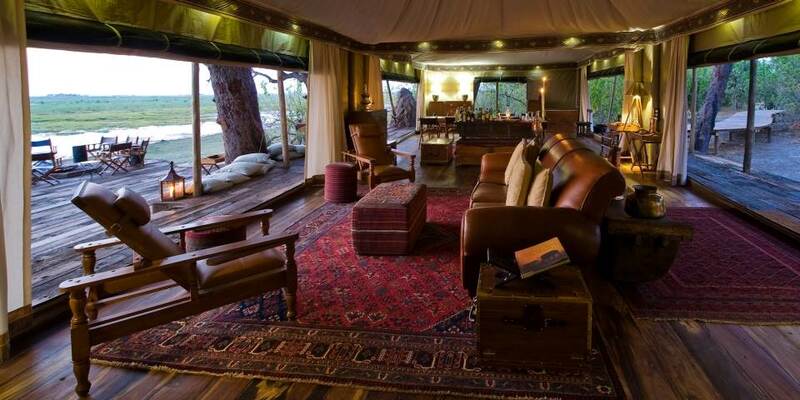 Zarafa Camp’s 4 tented rooms are opulent and enormous. They are open fronted though they are netted and are richly furnished with campaign-style furniture and Persian carpets. Each tent has a full lounge area with leather sofa and armchair and desk looking out across to the lagoon and there is even a copper gas fire for those cold winter nights. 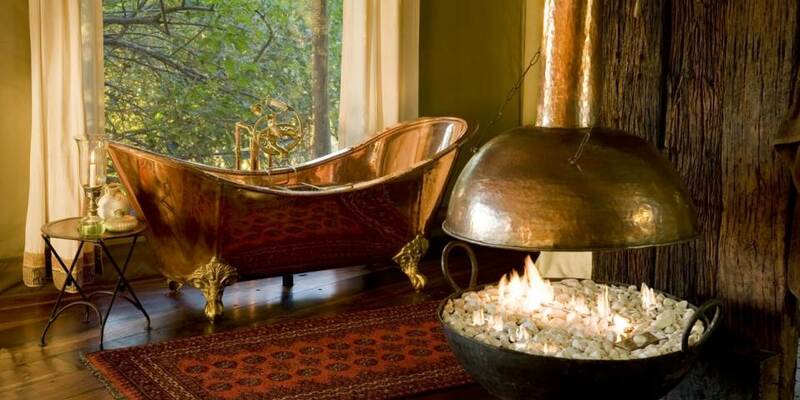 The bathrooms are open plan with solid copper ball and claw baths, double copper basins and both indoor and outdoor showers. 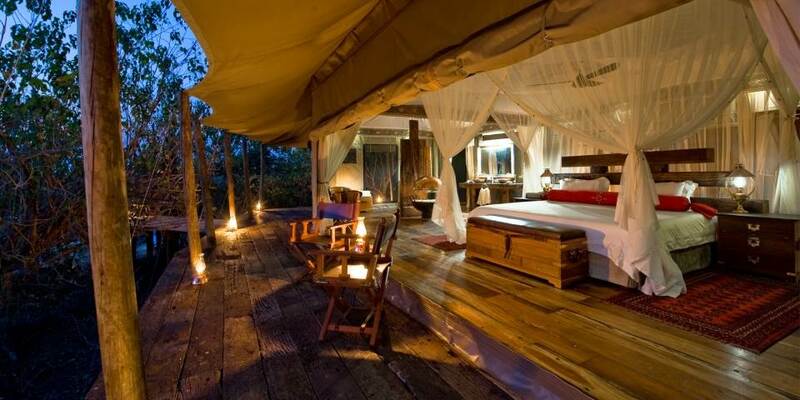 Each tent also has its own private plunge pool for those warm afternoons. The main area is very much in the same style and there is a private library there as well. The fire pit is raised on the main decking and dining taking place under the stars. There is a ‘safari’ gym if you need to burn off some of the delicious food served and massages can be booked in the privacy of your own room.